A roof framing plan should be included in a set of residential plans when the roof is complex and requires unique construction. 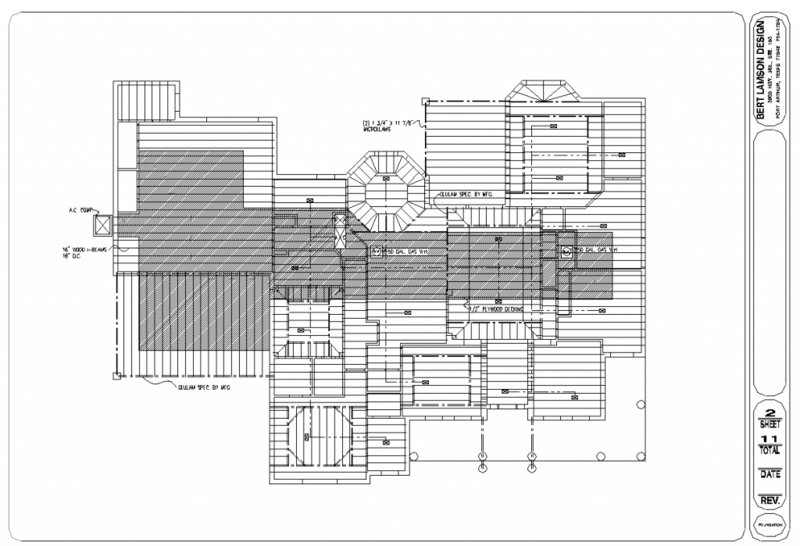 A roof framing plan may be drawn to clarify construction aspects associated with the roof. The roof framing plan normally shows the rafters, ceiling joists, and supporting members. A floor framing plan shows direction of joists and supporting members. The heating, venting, and air-conditioning plan illustrates components such as the furnace, air-conditioner, and heating and cooling ducts for the climate control system of the house. The design of this system is usually performed by the contractor who installs the system.